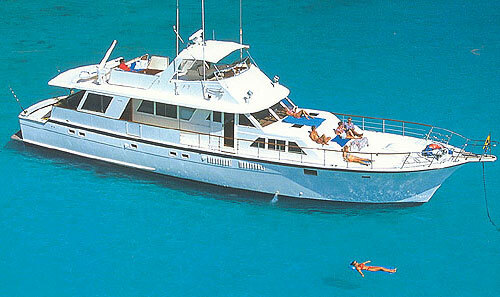 Motor yacht Obsession is a customized 85' Hatteras powerboat available for crewed power yacht charters in the Caribbean. 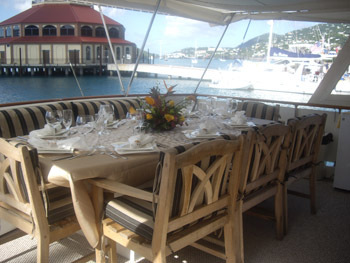 Designed to accommodate two to ten charter guests comfortably this is the perfect charter yacht for a budget conscience group of family or friends. 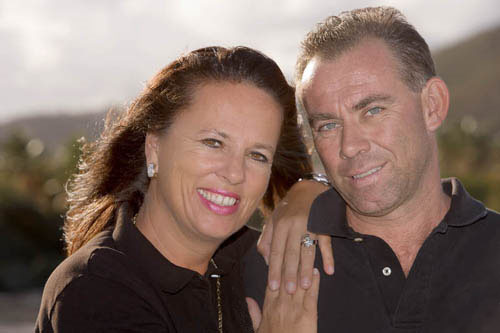 With an outstanding crew of two very experienced professionals who have been chartering yachts for years in the BVI’s, Obsession is a great choice for a fun filled Caribbean vacation. 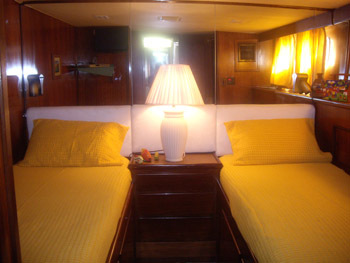 Obsession has three double berths as well as a twin with side by side beds and another twin with upper and lower bunks, so she can easy accommodate groups with children or singles. 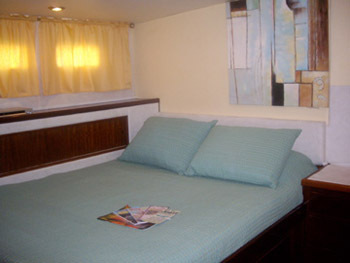 All of the cabins are air-conditioned and comfortable year round. 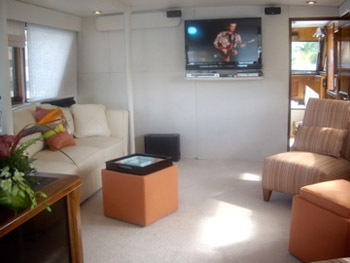 She has a comfortable salon with 46 inch flat screen TV and a large comfortable sofa that can be pulled out to a double berth. 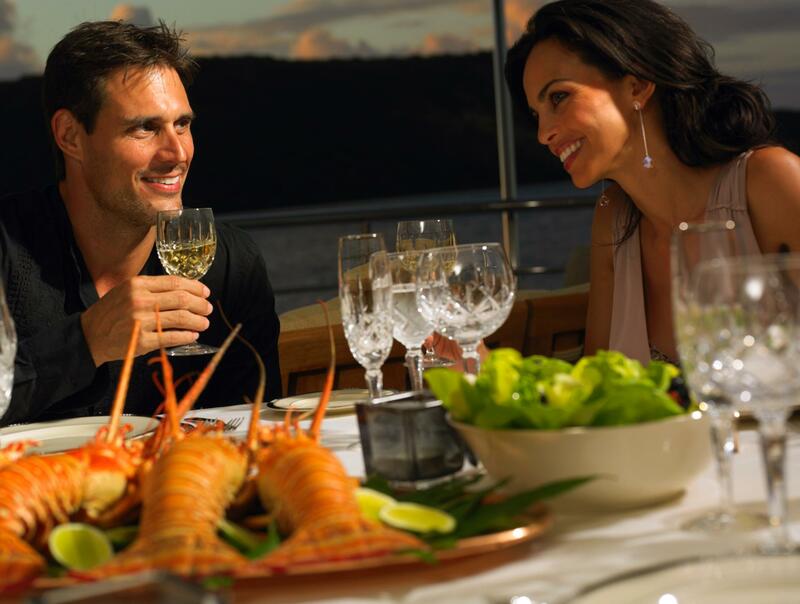 Her aft dining area is where guests can enjoy some fabulous alfresco meals while enjoying the views and her expansive foredeck offers plenty of space to work on your tan or perhaps relax and unwind in the four person Spa Pool tub which has just been fitted. 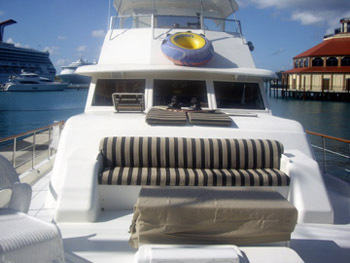 Obsession offers all of the water sports amenities including wakeboarding, waterskiing, snorkeling, floating mattresses and a range of other water toys to make you charter vacation as active or as non active as you prefer. The wonderful crew are on hand to ensure you safety and comfort and look forward welcoming their guests on Motor Yacht Obsession. 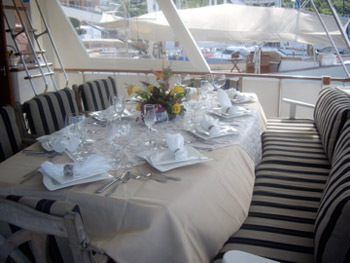 This yacht particularly suits guests with a tight budget and a large group. 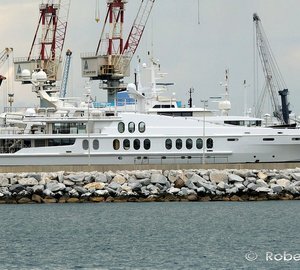 Yacht Obsession has three double queen berths and two bathrooms between these three double cabins. She also has one twin cabin with side by side berths with ensuite bathroom and one queen cabin with additional upper lower twin berths and an ensuite bathroom. 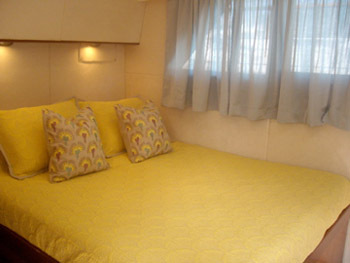 There is also a full size pull-out bed in salon and all cabins offer individually controlled AC. Brand new 18'ft. 115 hp dinghy for all watersports. 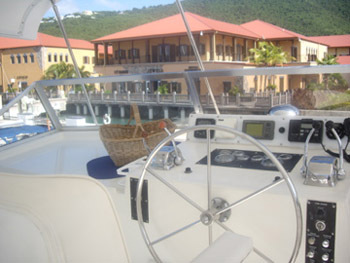 Snorkel Gear, Waterskis, Wakeboards, Kayaks, Floating Mats, Tube, Banana Tube. 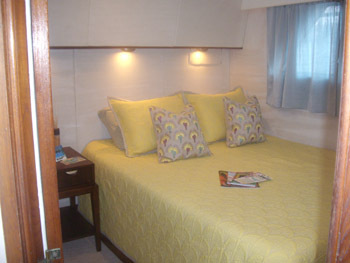 There is also a 4 seater spa pool out on the foredeck.